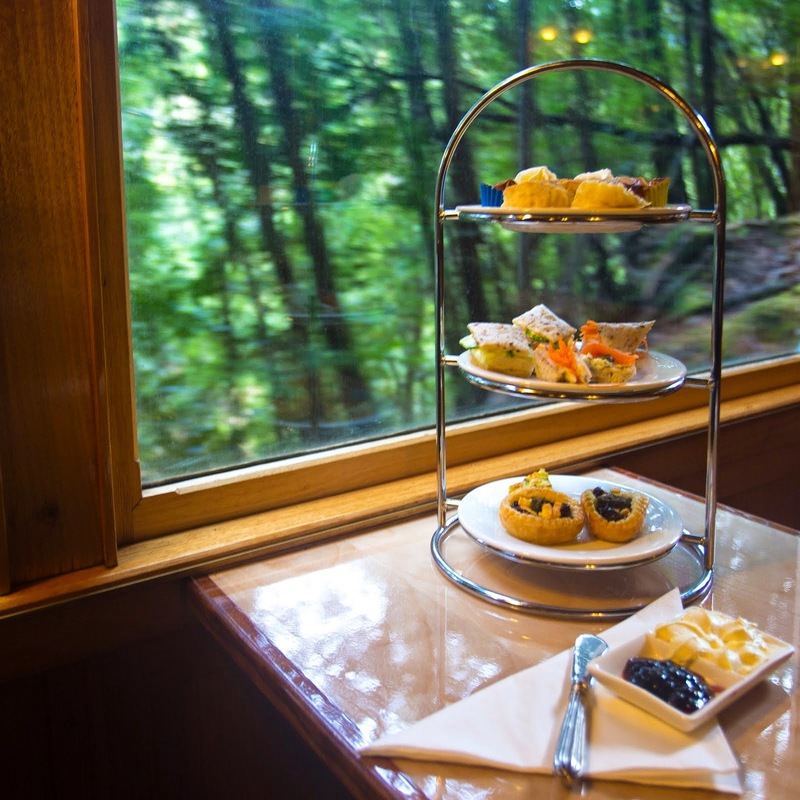 Tasmania's West Coast Wilderness Railway is offering a movable feast on board its Rack and Gorge journey this Mother's Day. This half day experience on Sunday May 10, departs from the historic town of Queenstown and combines a spectacular journey into the depths of the lush West Coast rainforest, while offering a delicious culinary experience in the comfort of the heated Wilderness Class Carriage. The adventure begins at 10am from Queenstown on board the restored historic steam train, where guests have the chance to take in some stunning natural vistas, including traversing the incredible King River Gorge and passing through some of the West Coast's beautiful old growth rainforest. An additional highlight includes experiencing the iconic ABT Rack and Pinion section of the track, the first of its kind in Australia, enabling the train to climb the steepest gradient in the Southern Hemisphere. While traversing the many bridges and ravines, soak up stories from a local guide surrounding the region's rich mining history and the people who built the Railway, before returning to Queenstown at 2pm. The Mother's Day journey is available for $160 for adults and $80 for children. Bookings are essential. Other journeys available throughout the autumn include; the half day River and Rainforest journey and the full day Queenstown Explorer experience, both departing from Strahan's Regatta Point Station. For information and reservations visit www.wcwr.com.au, email enquiries@wcwr.com.au or call +61 (03) 6471 0100. Image: Courtesy of Graham Freeman @insta_graham23 – one of many culinary experiences available on board the train in Wilderness Class.